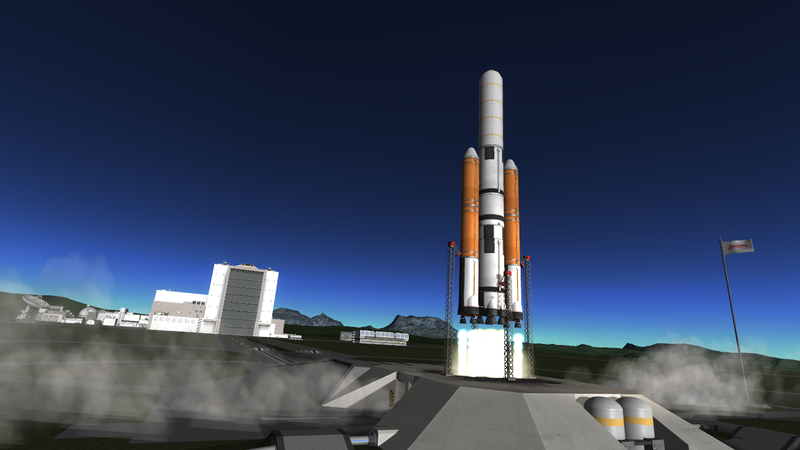 An unmanned rocket specifically designed for asteroid redirection. 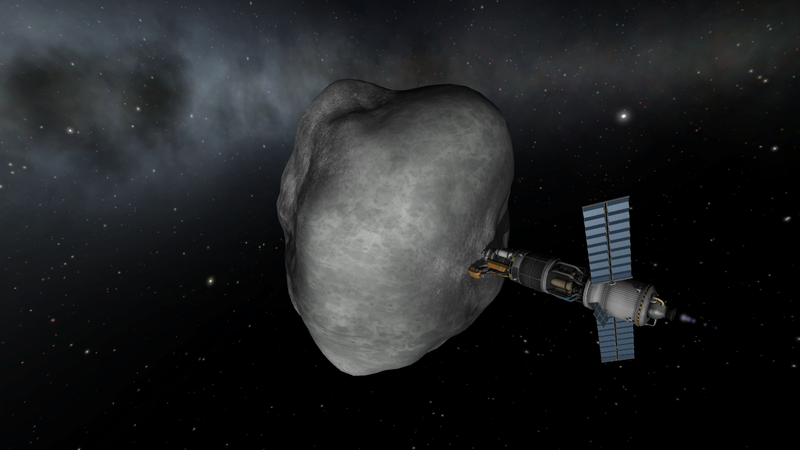 This has the capability of utilizing the asteroid’s resources for refueling, for further redirection. Designed to push all asteroid classes. Was successful in ejecting a D Class asteroid out of the solar system. Over 100 tons of ore was drilled and converted into fuel for the Poodle Engine. 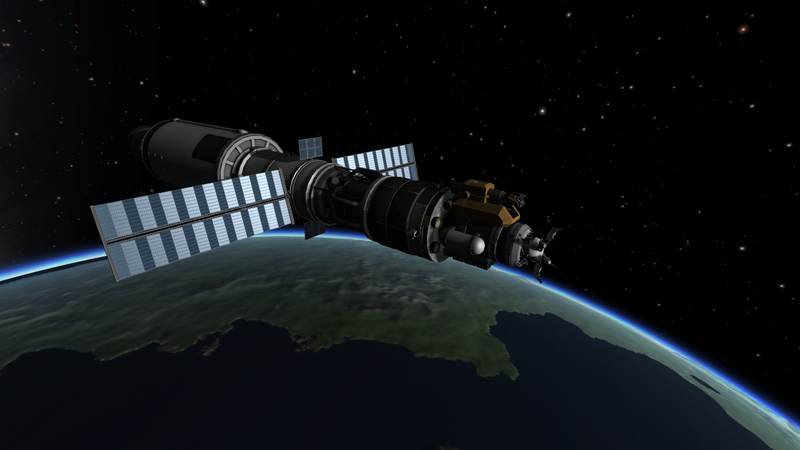 Was also successful in putting a C class in an orbit around the Mun. 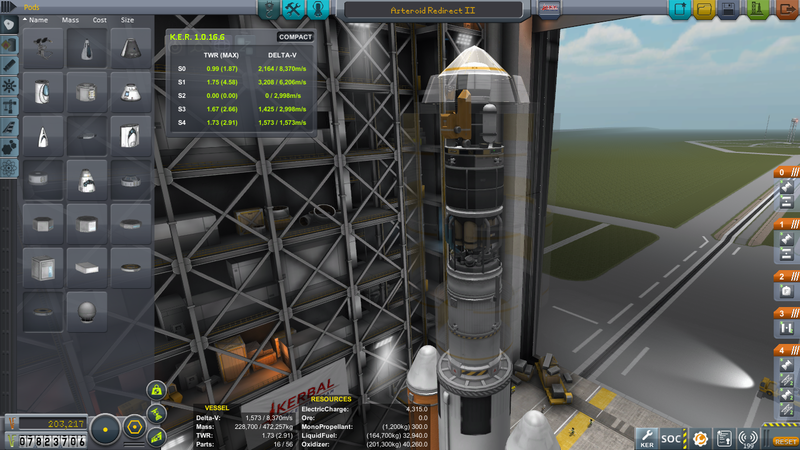 Will soon test to eject an E class out of the solar system as it is in the contract in career mode. 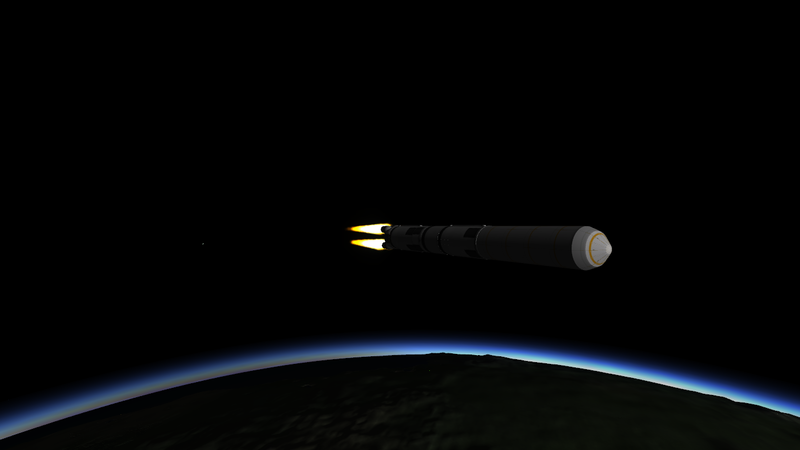 When flown properly just after stage 2 you should have an apoapsis of 90km and a velocity of about 1900-2000m/s. 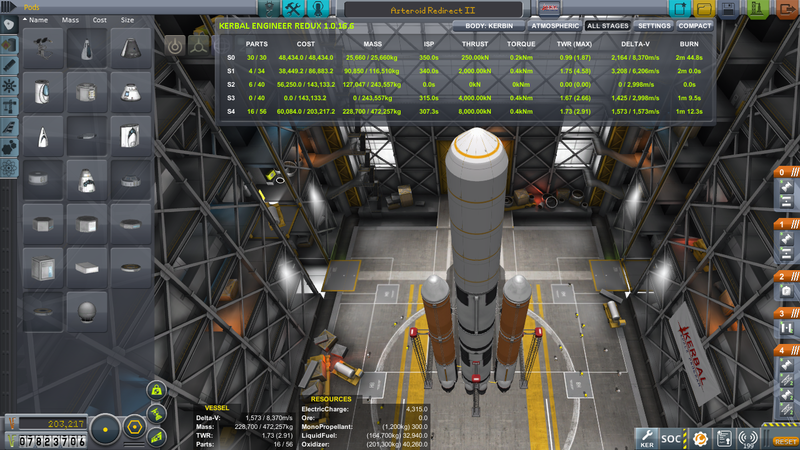 I did not upload Asteroid Redirect I as it was an earlier version that lacked delta-V. Uploaded craft has 4 large solar panels instead of 2 for easier orientations.